Official trailer for Freedom Ahead. We have been giving our democratic governments more and more freedom while they have been very busy restricting ours. By taking our freedom for granted we could be on the verge of losing it. In the independent documentary film 'Freedom Ahead' we visit the people who are the conscience in a world that is losing its moral principles. They regain control over their lives by being independent and by doing so they obtain the highest valued asset of all times, something worth living by and dying for: real freedom. Visit http://www.freedomahead.org for more information. This video is about a garden I started in Preston Hollow, NY after reading Masonobu Fukuoka's "One-Straw Revolution" and applying those theories and practices to vegetable gardening. I grew fresh vegetables for a small CSA (Community Shared Agriculture) , local markets and my friends and family. 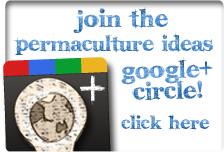 Much of my gardening practice coincides with the principles of permaculture. No-till farming creates permanent planting areas, in this way, one can incorporate perennial growing alongside the annuals. Artistically, I was inspired by Carl Sagan's Cosmos and the work of David Attenborough, which I grew up adoring as a child. I find it ironic how modern media was one of the original gateways to my increasing curiosity about nature, though perhaps this is what I hope to mimic by putting together my personal story with this garden. I hope to continue learning from nature for years to come... and hopefully inspire others to do so themselves. This video the 2nd of 2. You can see the first video HERE.